response from property - Jan 03, 2019 Thanks, Jennifer, for taking time to review us! We are glad to hear you are enjoying your home at Saddle Brook. Let us know if you need anything! Excellent Propertysubmitted by Zachary W. - Dec 06, 2018 |Recommended: YesQuick maintenance, quiet and friendly neighborhood. response from property - Dec 06, 2018 Thank you, Zachary, for your review! We are glad to hear you are enjoying your residency at Saddle Brook. If you need anything at all, please let us know! Excellent place to livesubmitted by Dennis Z. - Feb 25, 2018 |Recommended: YesThe building we live in is very quiet and the people are friendly. The apartment is more a condo than apartment. It is spacious and the layout is great. Being able to have a pet made the complex more appealing when we were thinking of moving here. response from property - Mar 05, 2018 Thank you for leaving your review, Dennis! We are so happy to hear that you enjoy your home with us and our community. Please let us know if we can do anything to assist with your home. We appreciate your residency! response from property - Mar 05, 2018 Thank you for leaving your review, Patricia! We are glad to hear that you enjoy our community and we appreciate your residency with us! New to the area and very glad we chose Saddle Brooksubmitted by Jessica B. - Nov 02, 2017 |Recommended: YesThe community is safe, clean, and it is a nice place to walk your dog and sit outside. The condos have a nice layout and are very comfortable. The location is great -- close to stores and the highway. Glad we chose Saddle Brook. response from property - Nov 03, 2017 Thank you for leaving your review and recommendation, Jessica! We are glad that you enjoy our community and location. Please feel free to reach out to the leasing office should you need our assistance at all. We appreciate your residency with us! response from property - Oct 03, 2017 Thank you for leaving your review, Barbara! We are so glad to know that you enjoy your home with us. Please let us know if we can ever assist with anything and we appreciate your residency! response from property - Jun 02, 2017 Thank you so much for sharing your experience at Saddle Brook, John! We appreciate your recommendation and are so happy to hear that you're loving your home with us. Please let us know if there is anything we can assist you with in the future! A place to call home.submitted by Scott G. - May 26, 2017 |Recommended: YesMoved to Waukesha to be closer to work and decided to rent till a house that my wife and I liked was found....well that was 5 years ago and just love it here Friendly neighbors and the office staff is a huge plus to this community,whatever you need they are there for you and ready to help. The grounds are kept up very nice and peaceful. I would recommend Saddlebrook to anyone that is looking for a new home. response from property - May 30, 2017 Thank you for taking the time to share your experience at our community, Scott! We are so happy to hear that Saddle Brook has given you a peaceful and comfortable place to call home! We appreciate your recommendation and your residency with us! Love this placesubmitted by Janette C. - Apr 06, 2017 |Recommended: YesI enjoy the location and the design. response from property - Apr 13, 2017 Thank you for taking the time to leave a review on our community, Janette! We are so happy to hear that you are loving our community. We appreciate your residency with us, please let us know if there is anything we can do to help you in the future! response from property - Mar 24, 2017 Thank you so much for taking the time to leave a review, Rahul! We are happy to hear that you're loving your home at Saddle Brook. Thank you for your recommendation and your continued residency with us. Absolutely Amazingsubmitted by Aaron H. - Mar 01, 2017 |Recommended: YesIts like living in a condo. Everything is perfect and if something happens to go wrong it is taken care of immediately. response from property - Mar 01, 2017 We are so happy to hear that you're loving your time at our community, Aaron! Resident satisfaction is our number one goal here at Saddle Brook. We appreciate your recommendation and look forward to working with you in the future. I enjoy living here.submitted by Timothy H. - Jan 03, 2017 |Recommended: YesVery pescful and tranquil. response from property - Jan 04, 2017 Thank you for feedback, Timothy! 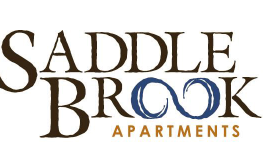 We are happy to hear that you are enjoying your time at Saddle Brook and that we are exceeding your expectations in most areas. According to your review, however, it looks like you may not have had the best experience with our maintenance team. We would love the opportunity to discuss our on-site maintenance with you. If you are willing, please e-mail fredcares@fred-inc.com regarding your experience. We will use your feedback in confidentiality to strengthen our team, in-turn, providing the best possible experience for our residents. Thanks again for your feedback. We appreciate your residency with us and look forward to hearing from you. response from property - Nov 28, 2016 Thank you for your kind and honest review! We are happy to hear that the team at Saddle Brook is exceeding your expectations. Thank you for your residency with us! I like it here. submitted by Jessica G. - Oct 02, 2016 |Recommended: YesI would tell them it was a great place to live. Nice Place to Livesubmitted by Cody S. - Sep 27, 2016 |Recommended: YesLiving space is cozy, neighbors are friendly lots of families , rent is reasonable. Only real complaints are that the common areas hallways, stairwells don't appear to be cleaned very frequently and a few of our initial maintenance requests went unaddressed I never pressed either issue, so some of the blame lies with me . response from property - Oct 27, 2016 Cody, we appreciate you taking the time to share your experience at our community. We strive to provide the best possible residential experience for our residents and would be more than happy to discuss the items you've listed if you wanted to discuss them further. Again, thank you for feedback and we are happy to hear that you are enjoying your time at Saddle Brook.